I haven't made up my mind who I will vote for. I haven't made up my mind if I will vote for a Presidential candidate at all for the first time since I was 18 because the longer I have researched, the deeper I have come to see that President's are selected and not elected. This nation, like this world, has become just that corrupt. 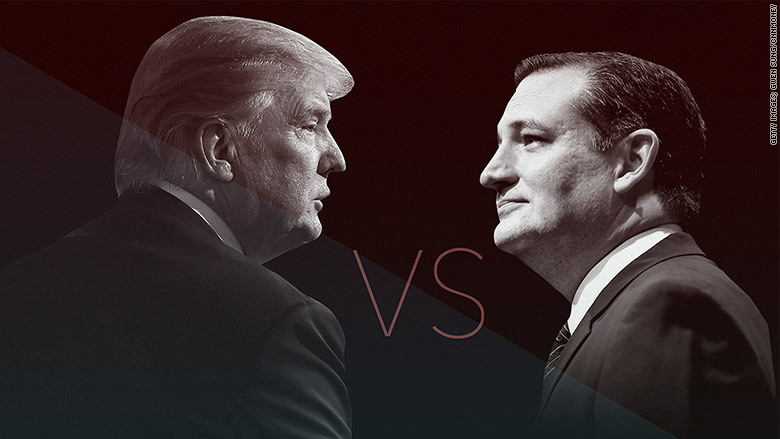 In my mind I have narrowed the field between Trump and Cruz if for no other reason than as an exercise in futility. I agree to with Franklin Graham, that Christians should vote for for those that support biblical principles. Cruz won't beat Hillary, because Christians don't turn out to vote in large enough numbers. In post modern America, don't count on secular America to vote for an outspoken Christian. Donald Trump is the GOP front-runner, and if the polls are to be trusted it looks to stay that way, so it is almost a mute point. Hillary Clinton is as guilty of felonies as the day is long. And that is just looking at the email scandal alone. Yet, she still hasn't been indicted. That is telling in and of itself of the degree of corruption inside America. Then again, Obama and all his lawlessness was never impeached, even more telling. And an indictment on the Congress, including the GOP lead House and Senate. Meanwhile, America is being conditioned to accept, with hardly a harsh word, an open Socialist as a Presidential candidate. Of course, this is really who Democrats are. Hillary has voted in agreement with Sanders 93% of the time, so says the liberal NY Times. And Satan is all to happy to oblige us. So buckle your seat belts, it is going to be a wicked ride. Presented without comment for your consideration. Simply click each policy or issue to read the back-story. I would vote for Donald Trump over the Democrat nominee in the event he is the GOP candidate. Because I would vote for a Sesame Street character over the Democrat. But remember: you will get what you pay for.